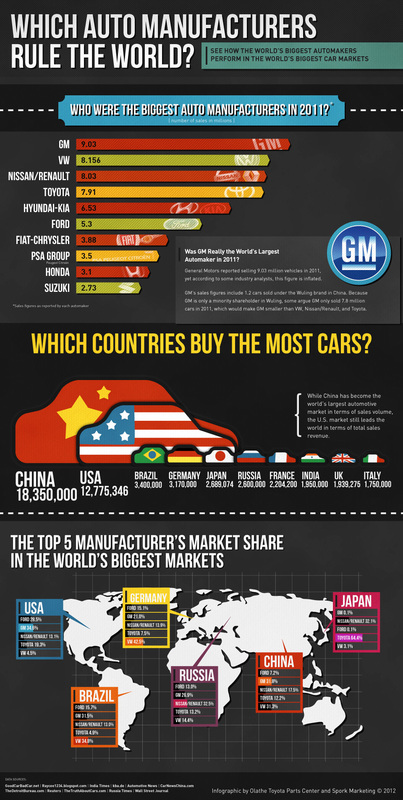 The following infographic shows how some of the world’s largest auto makers perform in the world’s biggest markets. As would be expected, the United States ranks high on the list of the most cars purchased in a particular country. It was only second on this list with 12,775,346 car sales. China claimed the top spot with 18,350,000 cars sold last year. These and other interesting facts below.